September 2014 has so far been a really exciting month for us. Most of our suppliers use this month to launch their new catalogues! This has been really exciting, especially for me, as I have been able to get a fantastic preview of all the new products. Although, I am now attempting to plan all the possible ways I can redecorate my home so I can fit more lighting in…. Our website (www.shinelighting.co.uk) is a really exciting place to be at the moment. We are spending our mornings, days and evenings putting up all of the new releases onto our website. So this is an ideal time to be redecorating your home. You have never had so much lighting choice. Finding lights to match your ideal room just got easier. You will be seeing lots of new and exciting indoor lighting and outdoor lighting products and designs appearing on our site over the next few weeks! The new lights are spread across a whole range of areas. We have new products up for the: living room, kitchen, bedroom, bathroom and garden. 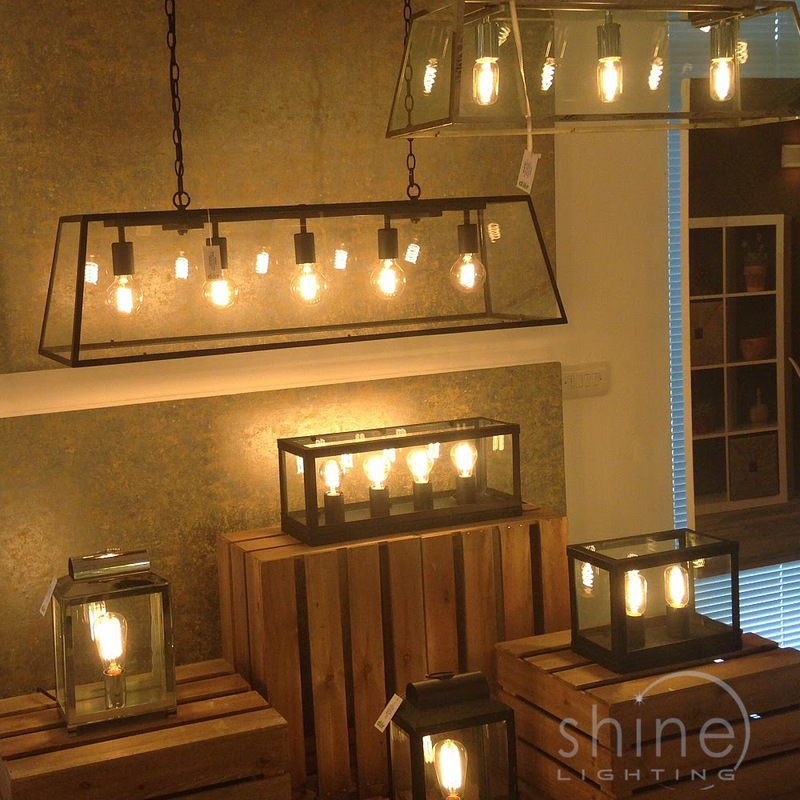 The fitting ranges from table lamps to ceiling pendants to spot lights. In addition, the light styles vary to fit traditional, modern and contemporary. We don’t limit the lighting products we offer you by style and aim to give you the widest possible selection from all the new ranges. Last week, we were up at Endon's launch. They have a fantastic new selection of lighting and homeware items! We have some of them in the showroom, so do come visit and have a look. Endon is really a really experienced lighting manufacturer. They have been going for 75 years and have the needs of UK residents at the forefront of their mind. In addition, their products are fully in tune with contemporary design and home fashion. If you have some friends who have recently moved, they will make the ideal ‘welcome to your new home’ gifts. 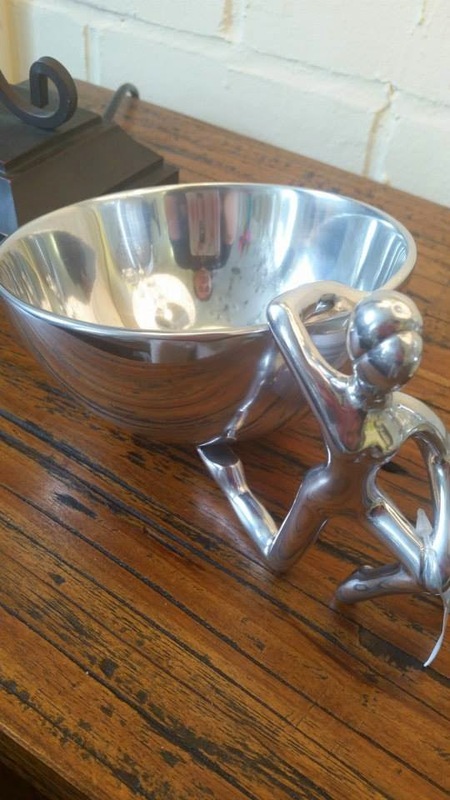 This beautiful bowl (below) has been one of the favourites in our showroom. It is ideal for those of you who always lose your keys and need a permanent storage pot. Endon Lighting and Home also do a matching wine bottle holder. To see the full range of what we have in store checkout our Facebookpage . They have also launched some very exciting new items into their lighting catalogue. While some of their products still stick to the really popular contemporary items, they have also released some really visually exciting items. 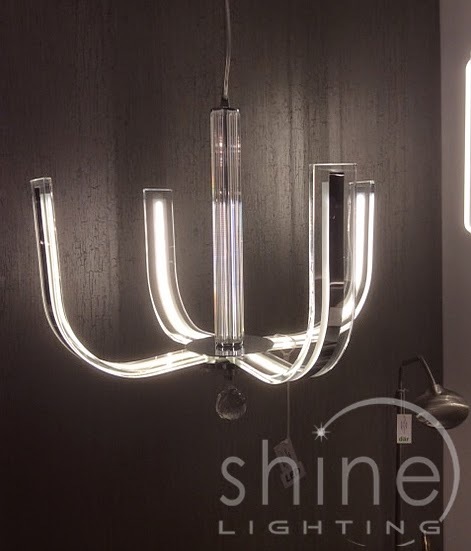 Introducing you to the ultra modern “Silhouette” by Endon Lighting. This light actually got us really excited. It’s something completely different to anything we currently have on the site. The outline is covered in LEDs (so it is super cheap to run). However, it provides you with the shape of a traditional light. We would be really interested to get your thoughts on this one. Is it to modern? Or do you think it would be ideal in the right sort of setting? Copper is has been really popular this year. This trend seems to be continuing strong into the 2014/15 season as well. 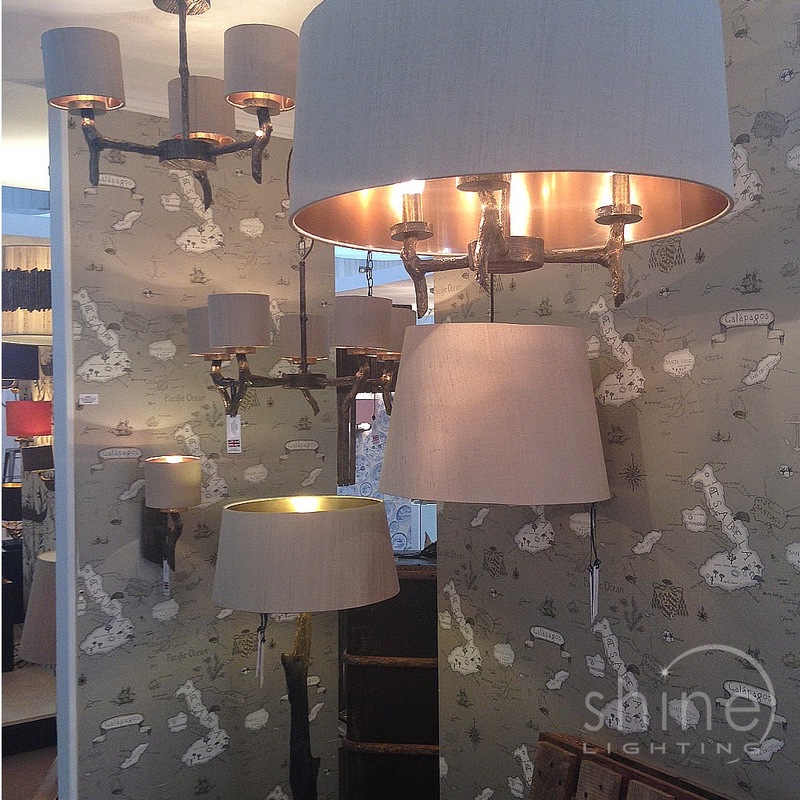 This “Giamatti” by Endon lighting is a really clever way of redesigning the trend. The shapes really remind me of the glass flasks I used to use at school. So this would be ideal for the scientist in your life. I personally think this would look fantastic in a hallway if you have a curved staircase. If you have high ceilings this would be ideal. 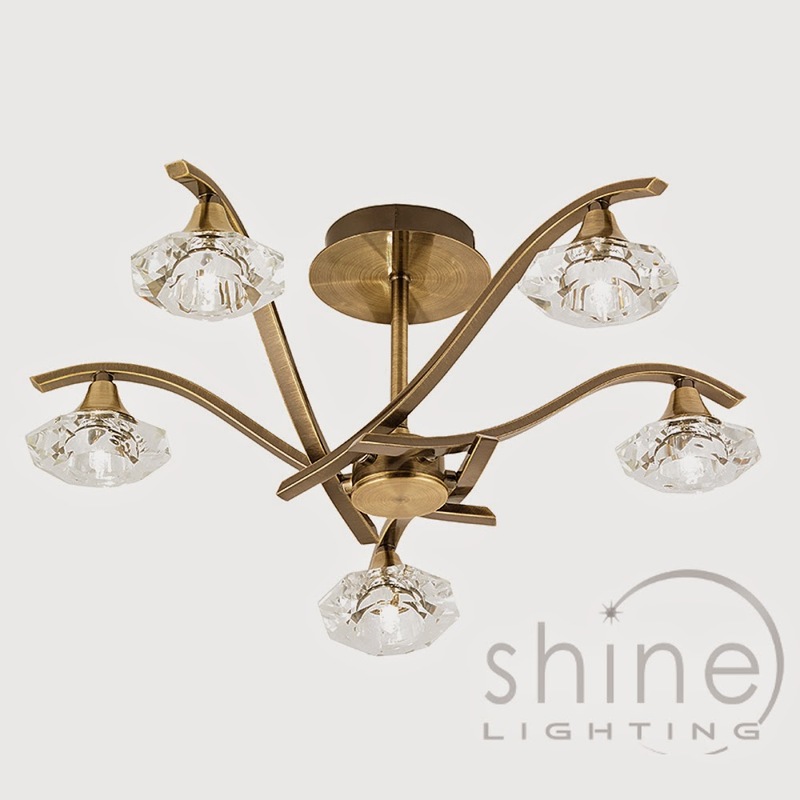 "Langella" by Endon lighting. If you are want something a little more traditional and with a bit of crystal this is ideal. This type of fitting has always been really popular. It is a semi flush fitting and so sits really close to the ceiling. It is an ideal solution for is you have low ceilings. This is the antique brass version; however, it also comes in polished chrome if you want a slightly more modern finish. This week we have also been visiting our other friends at Dar lighting. They are spilt into two lighting ranges. The majority of their range is Dar. These lights cover the entire range of products – ceiling pendant lights, flush lights, table lamps, spot lights, bathroom lights and outdoor lights. All of their products are designed to meet the highest standards of quality and electrical safety. In addition to the Dar range, they also have the David Hunt Lighting collection. This lighting collection is really special. All the lights in the collection have been hand crafted and finished in Britain. They have been based in the Cotswolds for the last 100 years. So these guys really know what they are doing. 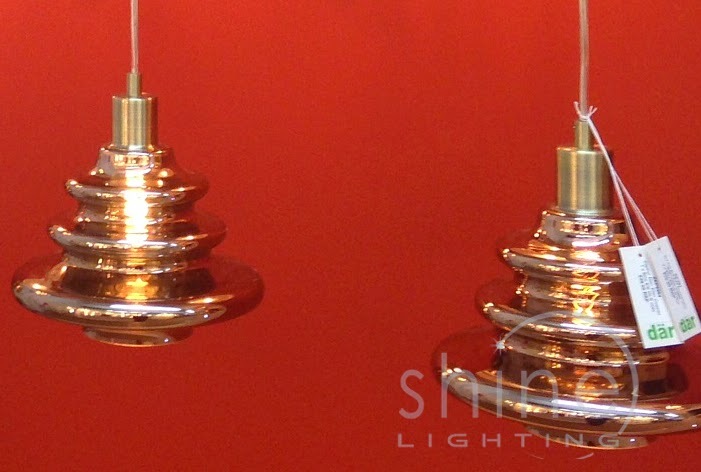 Because all their lights are handmade, the products can be remade to your exact sizing requirements. Every single fitting in this collection beautifully made. If you need a specific coloured shade, this can also be ordered and organised. So if you can’t find exactly what colour you want on out site, just give us a call and we can organise colour samples to fit your room. 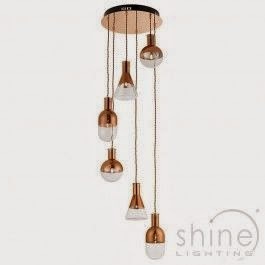 They have some really exciting new lighting products in their range. Take a look through the photos for a small idea of their huge range of products and collections. All of their new range will be on our website ASAP. If you fall in love with something and need it now we can take orders over the phone (01202 601846) with free delivery. 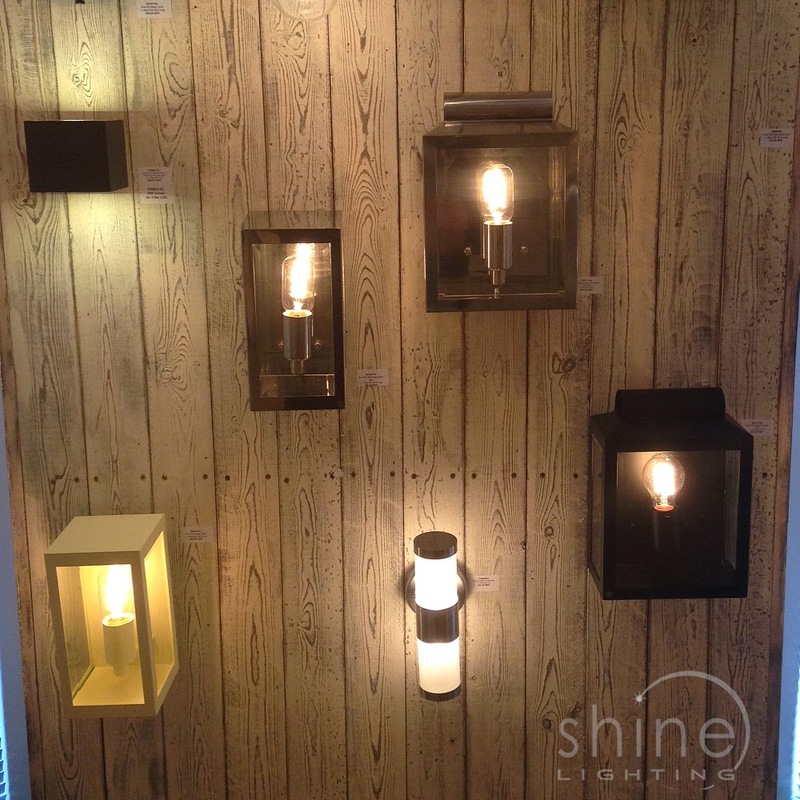 This beautiful bronze wood effect collection "Joshua" is by David Hunt Lighting. Last year, this collection only consisted of a beautiful, but very solitary wall light. However, much to my excitement, it now includes a 3 and 5 light dual mount pendant lights and a table lamp. The light is shaped to look like driftwood but is finished in bronze. These would be ideal in either a residential home or in a hotel setting. 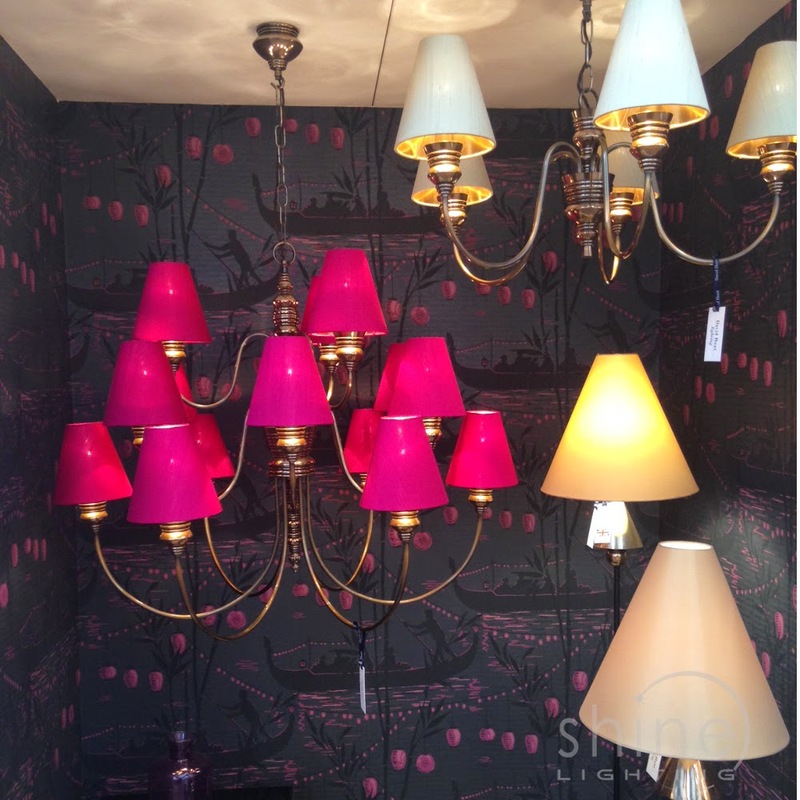 As these are made by David Hunt Lighting, the entire collection is made in Britain. This is a fantastic display of the Academy, Box and Ludlow lighting ranges from Dar. They work really well together. The Academy lights (the 5 and 3 light ceiling pendants) were part of the range last year. We found them to be a really popular fitting. They have been installed in bars and residential properties. The addition of the Ludlow (the 2 and 4 light table lamps) to Dar’s collection will complement the Academy range. If you are not a fan of having to rewire and already have a cable and lamp hanging from your ceiling, your solution is a non-electric shade. Particularly this year, the range is huge. The non-electric lighting shades available means you can easily keep up with the newest trends. For example, this non-electric pendant by Dar allows you to quickly and easily update your space. The “Zephyr” is a non electric glass copper ripple pendant. It fits straight onto your existing 29-42mm lamp holder. These amazing ceiling multiarm pendants are from the "Doreen" collection by Dar. This shows the stunning 12 light pendant and 5 light pendant. I have seen both these used to amazing effect in hotels. From this, with the right coloured shades, I can safely say they really suit any traditionally styled space. To see the whole rangeclick here. In the bottom right hand corned you can see the "Spearhead" floor lamp from David Hunt Lighting. 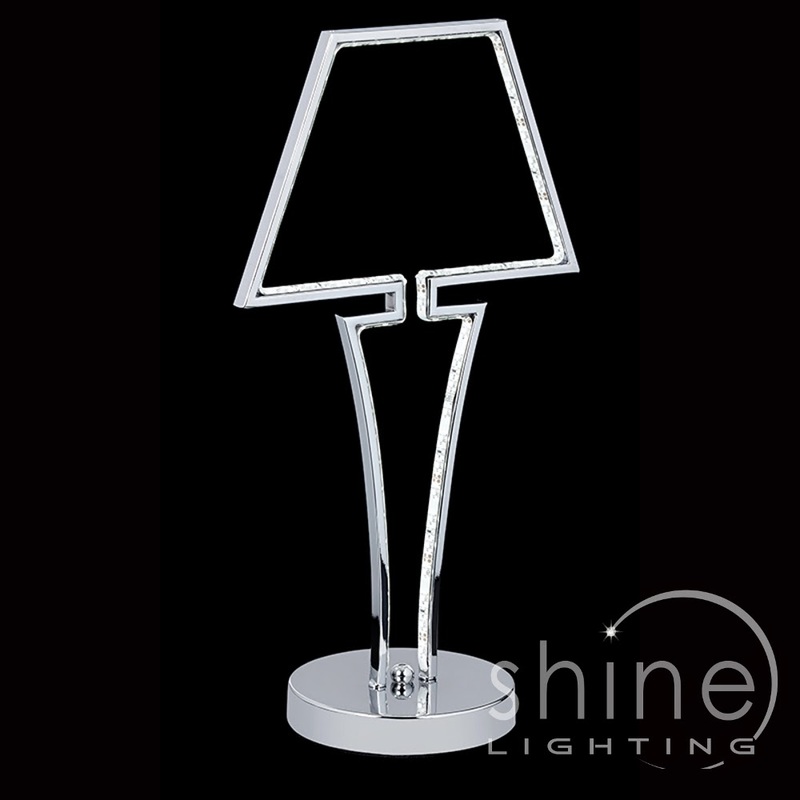 This lamp also has a matching table lamp and really complements the “Doreen” collection. For more information and to see the rest of the range click here. 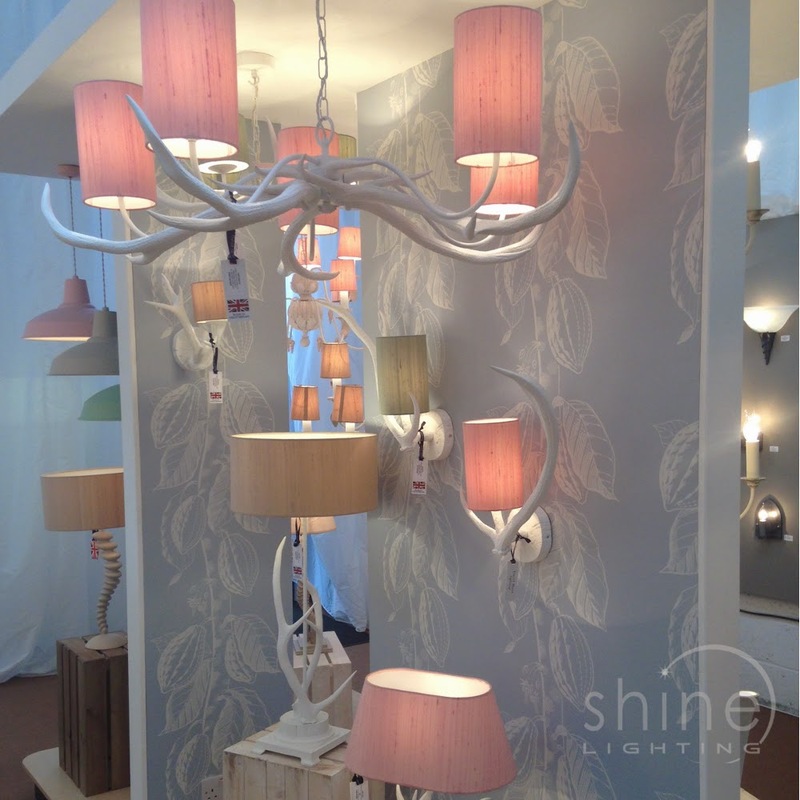 The antler themed lighting trend has been around for a few years and is going from strength to strength. While the lights used to feature real antlers, they are now made of resin. This Antler lighting range is designed, made and hand finished in Britain by David Hunt Lighting. All the shades are silk and are available in a wide range of colours. In addition to this collection, finished in white, they also do a natural looking light collection as well. To see the rest ofthe range click here. This season, Dar have begun to really venture into the modern LED lights. Their “Carina” LED Pendant is height adjustable and decorated with a crystal ball. You can just see it in this picture. However, we were impressed with how much light it gives out. The design also looks really stylish. This “Neopolitan” table lamp by Dar is one of my personal favourites from this collection. 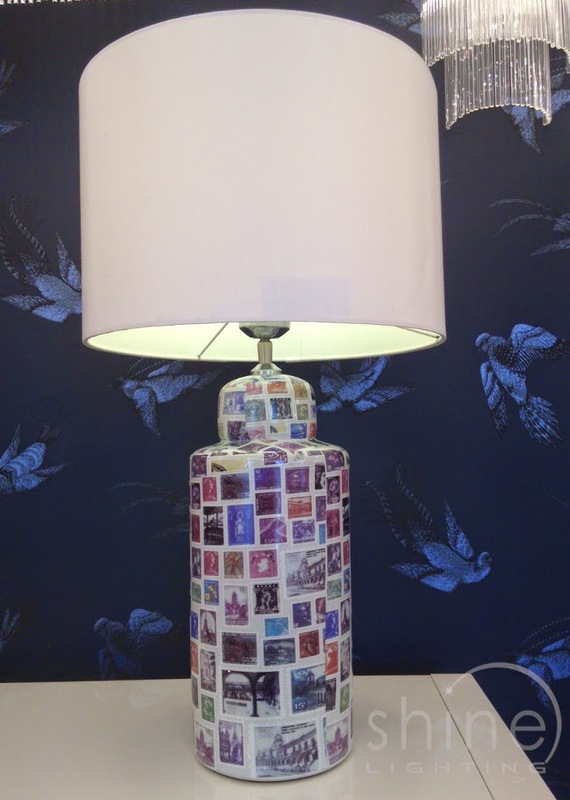 The base of the table lamp is ceramic and the postage stamp design used to decorate adds some fantastic colours. It reminds me of travelling and my brief stint of stamp collecting that occurred in my teenage years. The shade is sold separately, but that means you can really find one that matches your current lights. Dar Lighting also do some really beautiful outdoor wall lights. They are very contemporary and so look decorative but are also really functional. This is just a small supply of the range of outdoor lights that are part of Dar’s lighting range. These lights would look ideal on both residential and commercial buildings – particularly restaurants and hotels. They also have a lighting range that is more traditional, which is ideal for older buildings. As you can see, there is a huge range of new lighting products available. Particularly LED lighting and double insulated products have really increased this year. You will have a lot more lighting products to choose from. If you need more lighting help and advice, or just have no idea where to start, give us a call on 01202 601846. We can talk through with you want you need from your lighting solution and matching you up with the perfect lighting product.